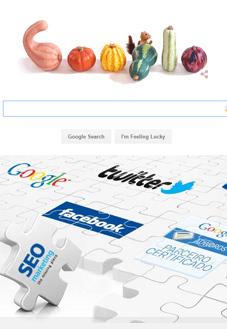 Internet Marketing, Social Media Marketing and Search Engine Optimization. Photography, Video, Brochure, Flyer Creations. Web site and Email Hosting. ALL IN ONE PACKAGE. Web Work Connects Group has been in business since 2001, includes developing and hosting websites, eCommerce sites & custom online applications, creating compelling content and conducting effective online marketing for clients nationwide. 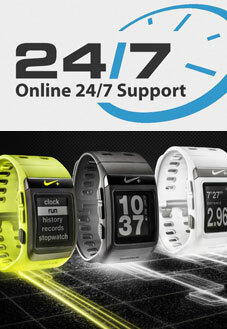 Get your business online FAST! Our best-in-class industry themes make it possible for your website to be online in days. No hidden fees. With our Website Design Service, you pay a one-time fee to build your site and a small monthly hosting fee. Everything else is included, so there are no surprises. FACEBOOK, TWITTER, YELP, MANTA ETC. We can help you to open account and manage it. Ut labore et dolore magna. Ipsum dolor sit amet conse ctetur adipisicing elit, sed do eiusmod tempor incididunt ut labore et dolore magna aliqua. Ut enim ad minim veniam, quis nostrud exercitation ullamco laboris nisi ut aliquip ex ea commodo consequat consectetuer adipiscing elit suscipit. Ut labore et dolore magna. Ipsum dolor sit amet conse ctetur adipisicing elit, sed do eiusmod tempor incididunt ut labore et dolore magna aliqua. Ut enim ad minim veniam, quis nostrud exercitation ullamco laboris Тisi ut aliquip ex ea commodo consequat consectetuer adipiscing elit. Nunc suscipit. Suspendisse enim arcu, convallis non, cursus sed. If you are looking for a state of the art web site that will drive leads and sales to your business, you need to call today. With over 20 years of experience, we know what works and how to create a successful web site that drives sales. WWC Group has helped many companies with online marketing strategies that are customized to their business. 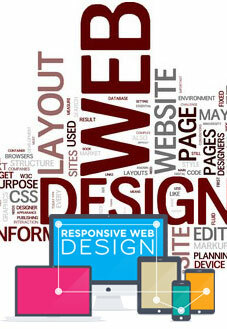 Our core business is website design and web development. We’ve branched out to offer other services and we do them well, however; our main purpose always has been and will continue to be website design. Finer Design started from an idea, grew in to a purpose, became a goal, and then a reality. In that journey, we’ve helped many businesses and individuals along a similar path, and met a lot of great people in the process. Being a small business, we know that timelines and budgets are important and not an optional guideline to follow, we respect your time and your budget. We don’t re-invent the wheel for every website design project, and always leverage open source technology and solutions whenever appropriate to keep your costs low. If you have any questions, please feel free to contact us, we look forward to hearing from you. 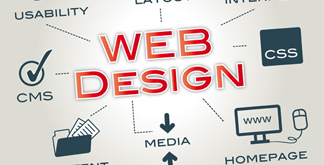 Let us be your website design company. The most effective way to drive visitors to your website at the lowest cost is to build your website's organic search engine ranking. Search Engine Optimization (SEO) is an effective tool for improving the volume and quality of traffic to your website. The process involves a combination of "on page" and "off page" strategies design to support your business goals. Visibility in the search engines will improve your company's online brand exposure while increasing site traffic, time one site, and conversions. Choosing the best web hosting company can be a confusing task with so many similar web hosting providers out there, offering similar services. So here at WWC Group we have made this decision easier by helping you find the right web host for your websites needs. Use our in depth hosting reviews, tables and tools to compare web hosting services. We also allow users to offer feedback on their experiences with their web host to allow you to make an informed decision. Price, reliability, technical support, features and control panel are just some of the important aspects you need to consider before choosing your web host. Web hosting is a service which allows websites to be published to the internet and hosted so they are accessible on the around the world on the World Wide Web for everybody to find. Web hosting companies buy or lease many servers in a data center which are connected to the internet, and sell partitioned space on the server, typically called Shared web hosting. This allows website owners to pay a small monthly fee for the hosting space as the cost is spread across many other websites hosted on the same server. Website hosting providers usually offer far more than just space on a server, many web hosts provide a full package to allow the website owner all the tools they require for their website. Most shared hosting plans come with a control panel which gives the user a simple to use interface to setup email address, add databases, FTP access to upload their website, backups, statistics, ecommerce shopping carts, and many scripts like WordPress blogging, or Joomla CMS. Many web hosting services also give you a free domain name, free advertising credits and a few other free bonuses so you choose their service. With shared web hosting you do not need to have any system administrator skills, as the web host will provide you with full technical support and they will try to keep your website up 100% of the time. So web hosting shouldn’t just be seen as space on a server, you should consider many other things when choosing a website hosting service. Our Web Maintenance and Management service protect your site and investment in your web presence by constant site-optimization. In addition, we continually meet the needs of your web site, both immediate and long term both technically and content wise. Art and Creativity blend together to convey an idea, a message, a thought or a dream. WWC Group can plan a wide range of print and graphic solutions for you, from logo creation to a total corporate image. Large and small projects equally benefit from our art and design expertise to develop a unique message. If you are in need of a commercial photographer, our photography studio, located in Orange County, California, provides photography services in Architectural, Industrial, Product, and Advertising to many clients. With over 10 years of professional photography experience in the advertising field, we can provide the high quality images that are needed for publication both online and in print. Online video is the most effective way to engage customers, increase brand recognition, and improve conversions online. 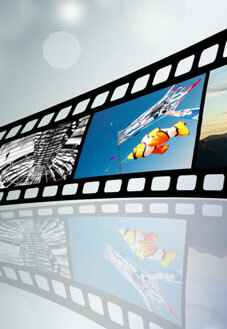 Video brings your message and business alive - on your website, on social media channels, or on your support site. We often forget that YouTube is the second largest search engine in the world. Being a site that hosts videos, we tend to miss the fact that a lot of people also use YouTube as a search engine to find what they want and need. These are the people who like to consume content in the form of video and are usually more qualified buyers and subscribers than the visitors from search engines. Our technical support team is available by phone and e-mail, 24 hours a day, 7 days a week, to answer questions and help you make the most of your hosting package. To locate our support team e-mail contact form, as well as the support number, simply log in to the Contact, select your contract, and click "Help & Contact". Note - Substitute your actual domain name for "yourdomain.com" and substitute the first part of your email address for "user." This is subject to change based on the individual preferences of your ISP Note - Make sure you are not chosing and SSL type, this option should be turned off, or "None" should be selected. Nail Supply Shop in Canada. Selling Bearing online store - San Clemente, CA. Internet Marketing, Social Media Marketing and Search Engine Optimization, Photography, Video, Brochure, Flyer Creations. 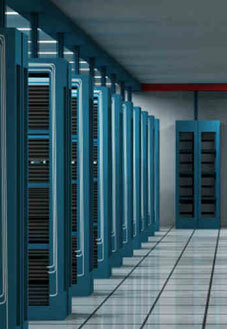 Web site and Email Hosting. ALL IN ONE PACKAGE. Web Work Connects Group provides integrated online marketing strategies that help companies grow. We think of ourselves as a business development consulting firm that uses interactive marketing as a tool to increase revenue and profits. Our management team has decades of combined experience in online marketing as well as graduate level education and experience in business and finance. Asante Sana means very simply THANK YOU! And it comes from ALL of the children who have been helped to date and those will be helped in the future. 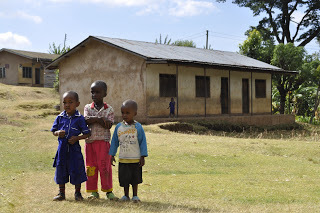 Asante Sana was established in 2011 following several years of informal participation in helping various organizations in the North East corner of Tanzania, in the shadow of the mighty mountain Kilimanjaro. WWC Group is an industry leader in website design, development, ecommerce, hosting, and marketing essentially a one-stop shop offering a full range of solutions for anyone looking to succeed in their online endeavors. WWC Group is a family owned privately held company with a long history of profitability and stability. The websites that we have designed for our clients over the years have produced strong revenues and sales leads. We credit this success to several things: a design that is easy to navigate, a pleasant look and feel, and programming that abides by the indexing technology of search engines. Indeed, we are incredibly proud of the online stability and success our clients have achieved by employing our expertise. Thanks to our wide range of experiences, we have the unique ability to see the wider picture when it comes to Web technology. If we find that an online tool works for one industry, we can identify its potential to bring success to another industry. Furthermore, with over 30 years of experience in the IT industry, our familiarity of the business allows for us to provide our customers with the most comprehensive Web services and support available. Our clients know that our services are done in house, so if there are ever any issues that need to be addressed, whether it involves hardware, software, programming, connectivity, or the updating of their sites, we have the means and resources to achieve an expedited resolution. In addition to experience, another key to our success is our commitment and dedication to providing the best possible customer service to our clients. While other companies claim to provide top-notch customer service, WWC Group actually delivers customer service that is unparalleled in the industry.